Since we moved to Abadiânia we mostly switched from bread & oats for breakfast to eating roots in various forms. 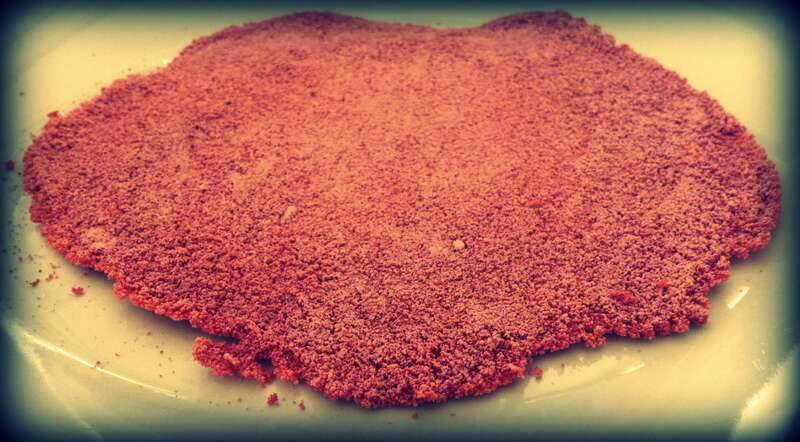 This blood-red crêpe is made from tapioca flour (a starch extracted from Manioc of which the roots are consumed & it is originally native to Northern Brazil) and in this case instead of mixing the tapioca flour with water we mixed it with beetroot juice, yet another root. The recipe: 1kg tapioca flour mixed with 600ml of liquid. The slightly wet powder is placed thinly on a hot frying-pan. The heat will melt it together and create this amazing gooey textured crêpe.